Would You Like to Know? All six books in the series in one slipcase. 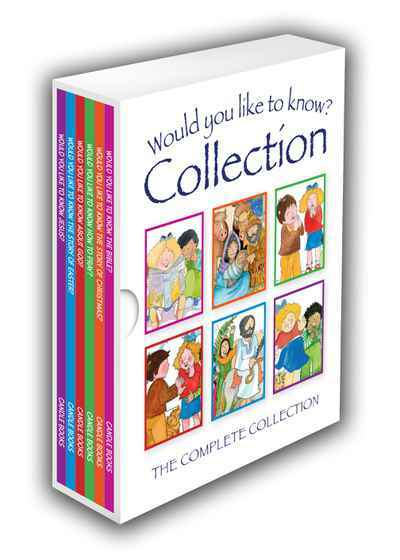 Six small volumes offering answers to children's big questions about God, the Bible, prayer, Jesus, Christmas, and Easter, collected together in a little slipcase. Illustrated with charming pictures of families and children, this collection makes a wonderful gift or award.